Core SWX has announced the Helix Dual Voltage battery packs. 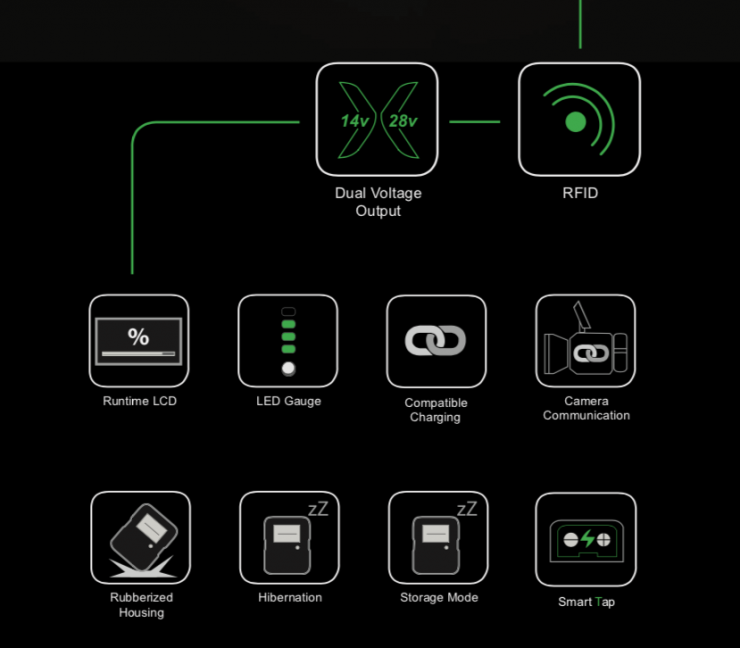 This new range of batteries features a simultaneous 14v/28v power output. We have seen a lot of developments over the last few years when it comes to batteries, but this has mostly involved offering them in higher capacities and making them smaller. The new Helix series isn’t smaller and it isn’t higher capacity than previous offerings, but it does add dual 14v/28v* simultaneous voltage output. 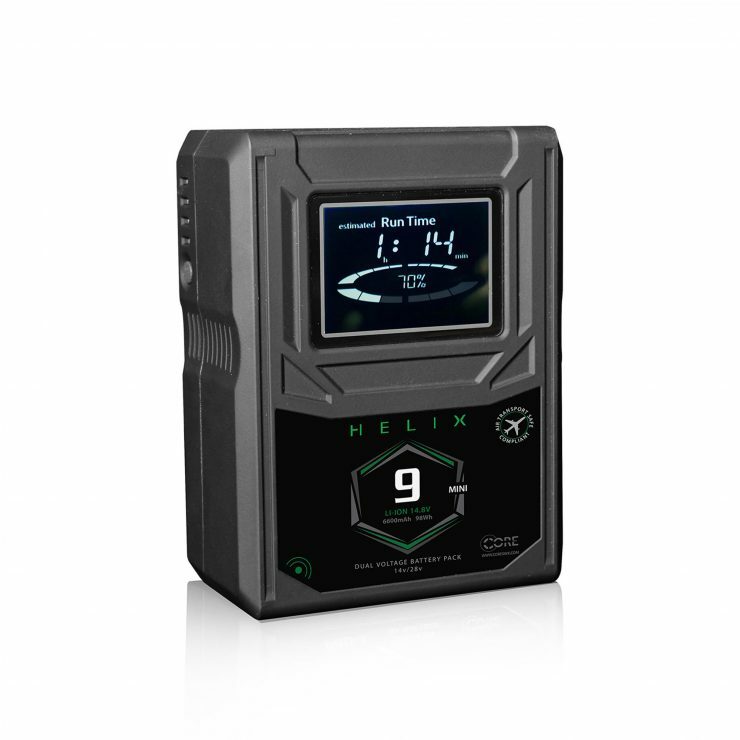 The Helix series is based around Core SWX’s Hypercore series and it offers all of the same functionality but it is able to sustain very high outputs for those users who require a powerful on-board battery solution. 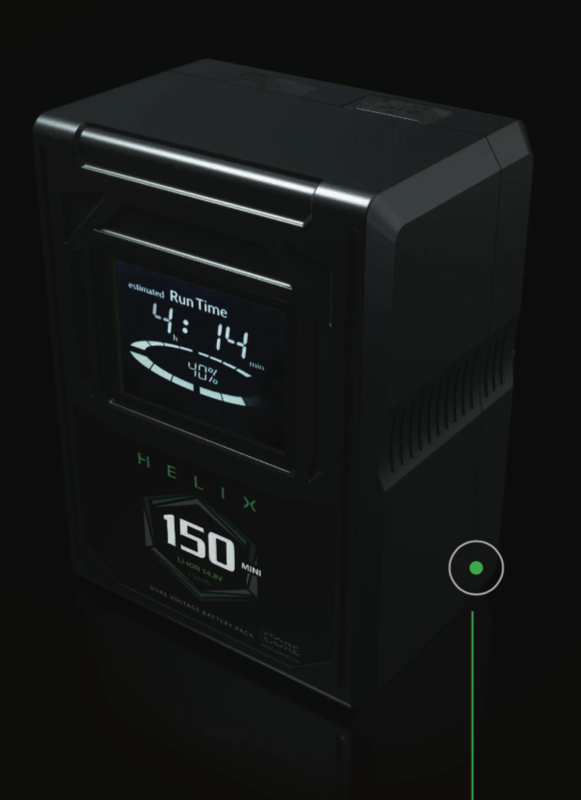 Core SWX are using proprietary, patent-pending technology for the Helix. 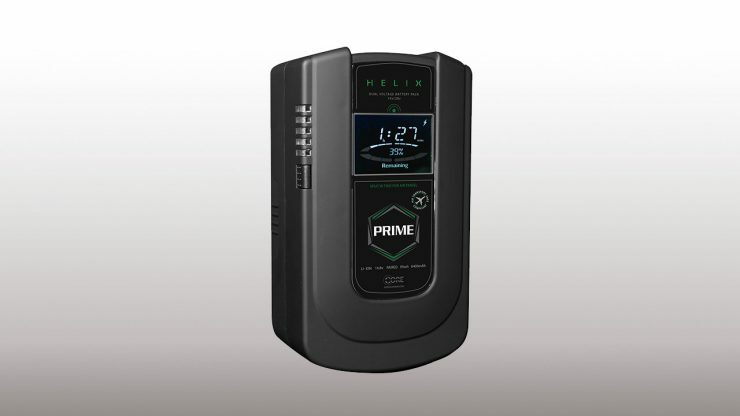 According to the company, the Helix is ultra-efficient, providing nearly lossless power transmission at a 99% efficiency rate to high voltage operating equipment. 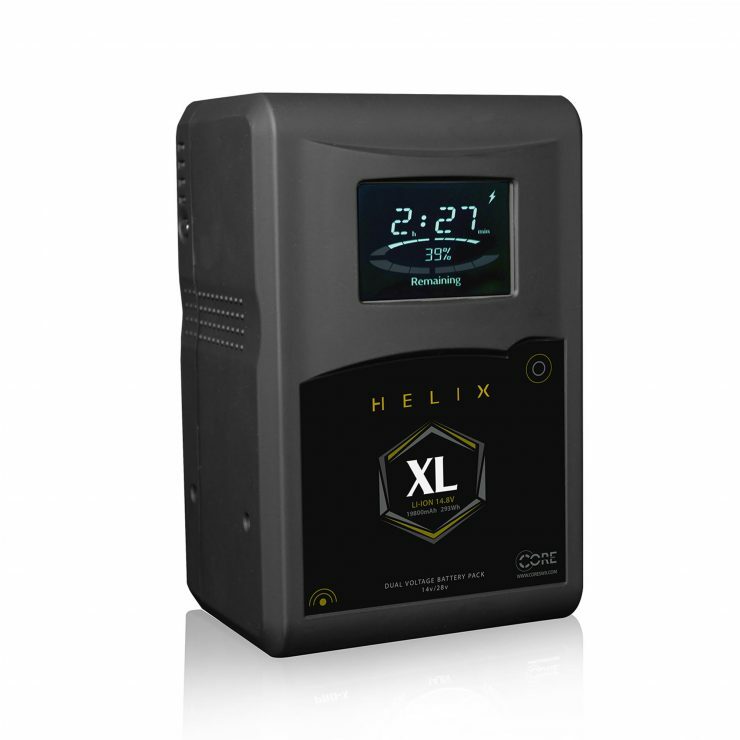 Helix’s design allows it to output up to 33.6v, within the top range of high voltage acceptance, thus drawing less current, creating less heat and extending both operational runtime and product longevity. 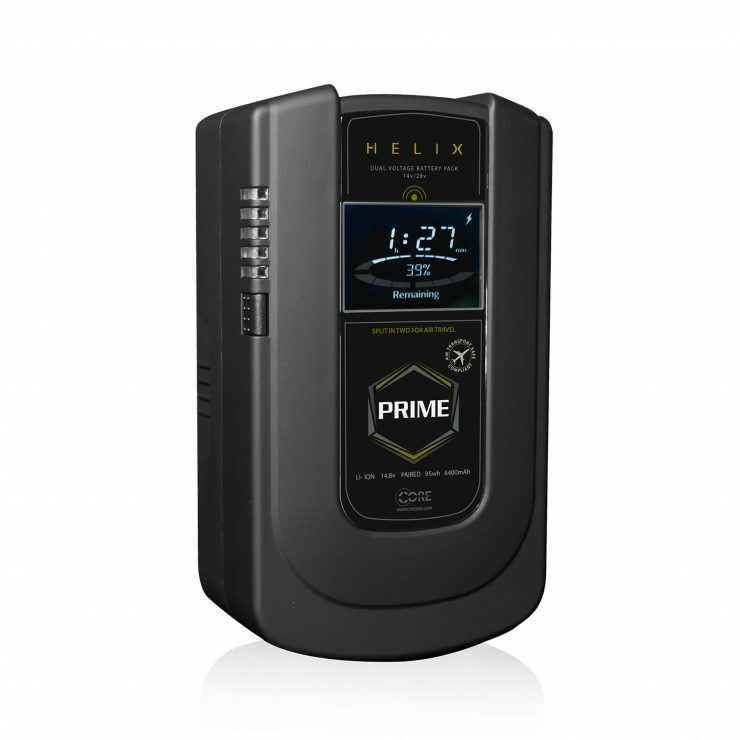 The Helix system is available in V-mount and Gold mount, and in size offerings of a Mini9 (98wh), a Prime (2-part 190wh), and an XL (293wh model). 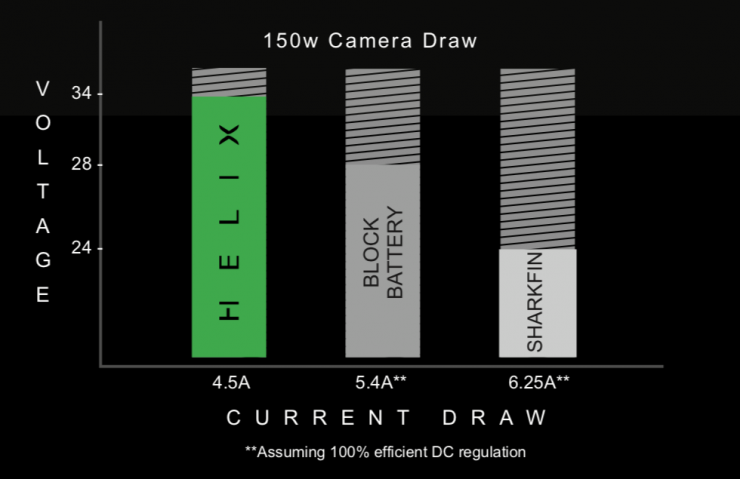 In addition to these models, a Mini 150wh model is now available to answer the need for a cinematic, small form option, providing longer runtimes to that of the Mini9. 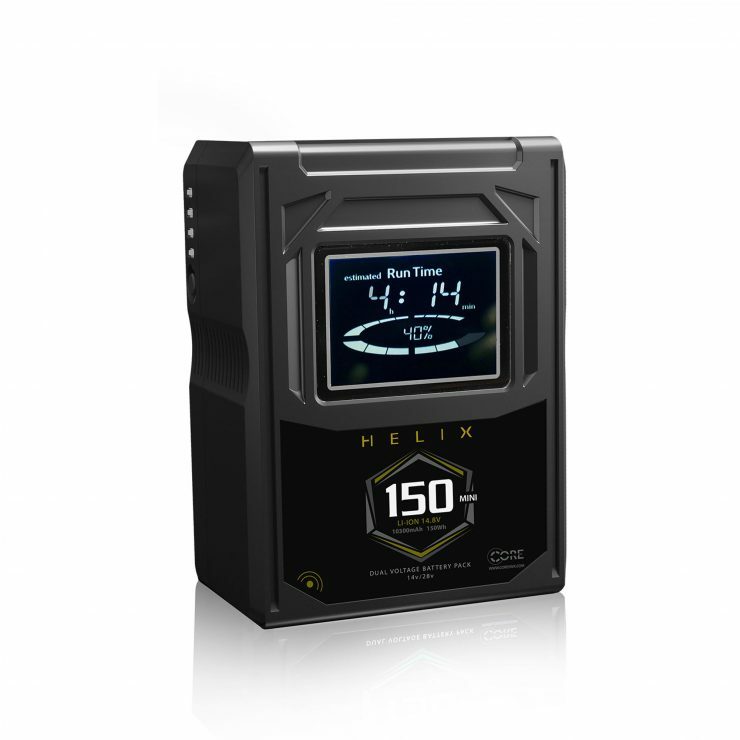 The way Helix has been designed allows the battery to have the same functionality as a standard V-mount or Gold mount 14v pack in all applications without the fear of accidentally transmitting high voltage. 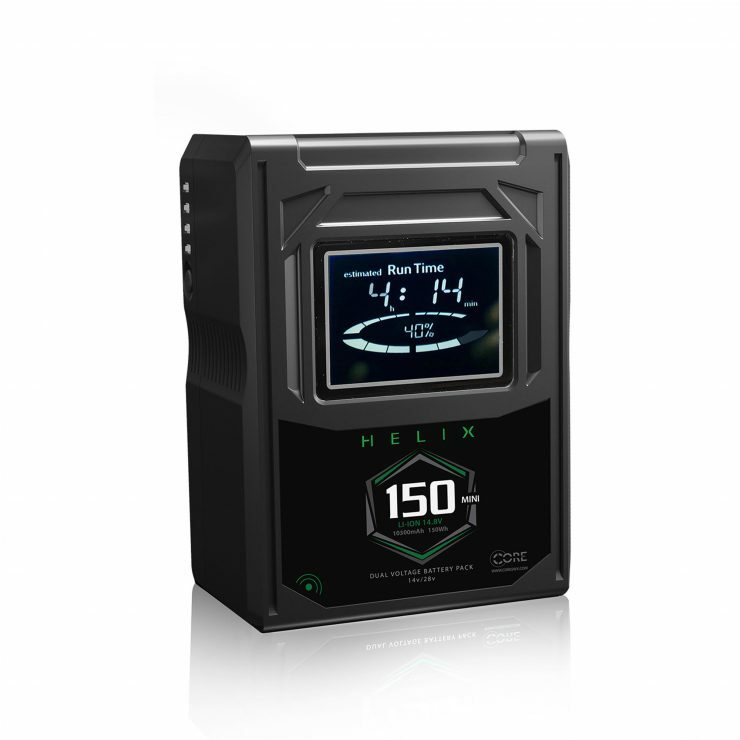 Along with standard powering applications, Helix charges on all standard v-mount and gold mount Lithium-Ion equipment, including Anton/Bauer. Core has produced a series of different mounting plates that can be used for high voltage equipment. To unlock the high voltage output function, all you need to do is couple HELIX with a mount plate. Once mounted, the battery pack will transmit the higher voltage efficiently to the camera, yet still, have access to 14v for other production accessories. In addition, the battery mount plates are compatible with standard on-board battery packs. 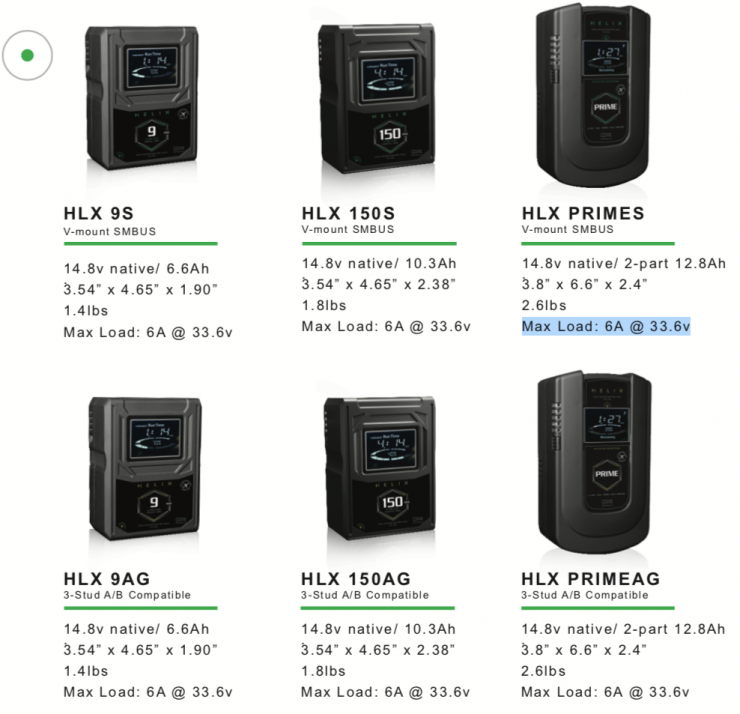 This compatibility allows you to still use your existing V-mount and Gold mount battery packs on a wide range of voltage cameras (ARRI Alexa, Amira, Mini Alexa, etc.) when using a Helix mount.